Police say Meredith Chapman was shot and killed Monday inside her home in Radnor Township, Pa.
After she found out her husband was having an affair, Jennair Gerardot got on a train from Delaware to Pennsylvania with a wig and extra clothing, broke into the home of the other woman and fatally shot her, authorities said. Then she turned the revolver on herself. Police in Radnor Township, Pa., found the bodies of Meredith Chapman, 33, and Gerardot, 47, on the first floor of Chapman's home on Tuesday, near the kitchen. Two rounds had been fired from a seven-shot revolver, authorities said in a press briefing. Police believe Gerardot broke a glass pane in the door to get into the house, carefully cleaning up shards that had fallen to the floor so that Chapman wouldn't suspect a break-in. Radnor Superintendent of Police William Colarulo called it a "calculated, planned attack" in which Gerardot "was lying in wait." He also said emails and text messages revealed her plans. One of the last people to see Chapman alive was reportedly a neighbor, who told The Philadelphia Inquirer that she saw Chapman pull into her driveway and then heard an unnerving sound that didn't make sense in their quiet community. "In my head, I was like, 'Is that a gunshot? No it can't be a gunshot,' " the neighbor said. Officers received calls from others neighbors and arrived at Chapman's home after 7 p.m. They found a man in the driveway who said, "My wife may be inside." Mark Gerardot was taken to police headquarters. "We're not 100 percent sure of why he went back," Christopher Flanagan, deputy superintendent of Radnor police, said at the briefing. Colarulo said, "We believe the husband was in the area under the belief that he was meeting the other woman for dinner and when she didn't show up that's when he got concerned and showed up at the house. But again that's unconfirmed." Mark Gerardot's website features a photograph of the couple standing in a field with two dogs and a slogan that reads, "Ready for life's next adventure." His biography states, "On the personal side, my wife and golden retriever are the center of my universe and the reason I get up every morning." They married in 1993, according to The News Journal, which cited Indiana State Library records. Gerardot and his wife worked together at a marketing and design business in Indiana called Gerardot & Co. Later, he was a creative director at the University of Delaware and reportedly worked there with Chapman for a time. Jennair Gerardot's bio on the Gerardot & Co. website reads, "You'll soon learn that this detail-oriented 360º visionary sees and does it all, while keeping everyone else on their toes." She graduated with a communications degree from Indiana University-Purdue University Indianapolis, according to the bio. It states that "the softer side of this highly-driven businesswoman also likes exploration and travel; and is an avid animal and nature lover." Chapman grew up in Beech Hill, Del., and graduated from the University of Delaware with a bachelor's in communications. 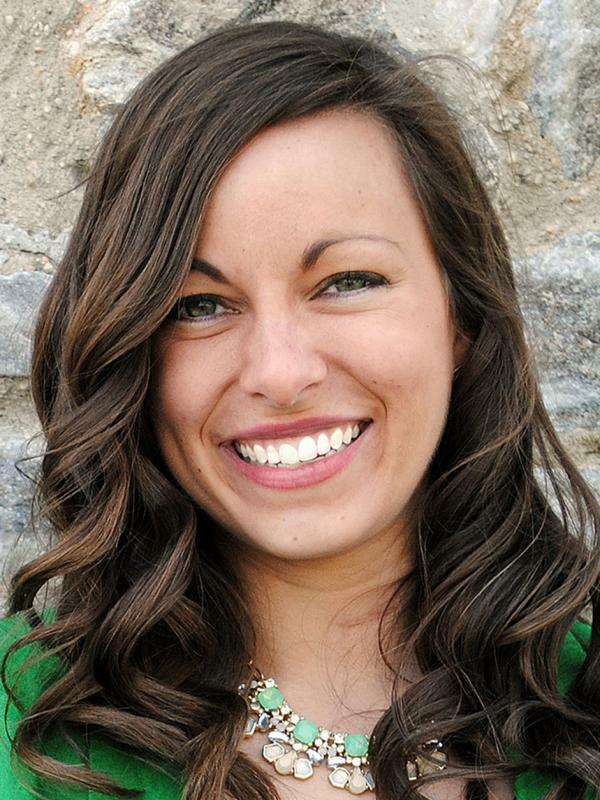 In 2014, she was chosen by The Delaware Business Times as one of 40 young achievers under 40. Chapman "was previously a reporter/producer in WHYY's bureau in Wilmington. She also worked for then-U.S. Rep. Mike Castle before taking a job in UD's communication's office," the NPR member station reported. She also ran as a Republican candidate for the Delaware state Senate in 2016 but lost to incumbent David Sokola. In a written statement, Sokola said, "Kathy and I are stunned by the news about Meredith and I'm deeply, deeply saddened to learn that such a promising young woman's life has been cut so short." Chapman had recently started a new job at Villanova University as assistant vice president of marketing and creative services. She was new to Radnor Township. The murder-suicide has left a community in shock and mourning. "Everyone who knew and worked with Meredith is heartbroken," the University of Delaware said in a statement. "As a proud alumna of UD, her commitment to her work was exceeded only by her boundless energy. She believed earnestly in the power of communication to bring people together, whether to achieve their collective goals or simply to share their stories. We will miss her."